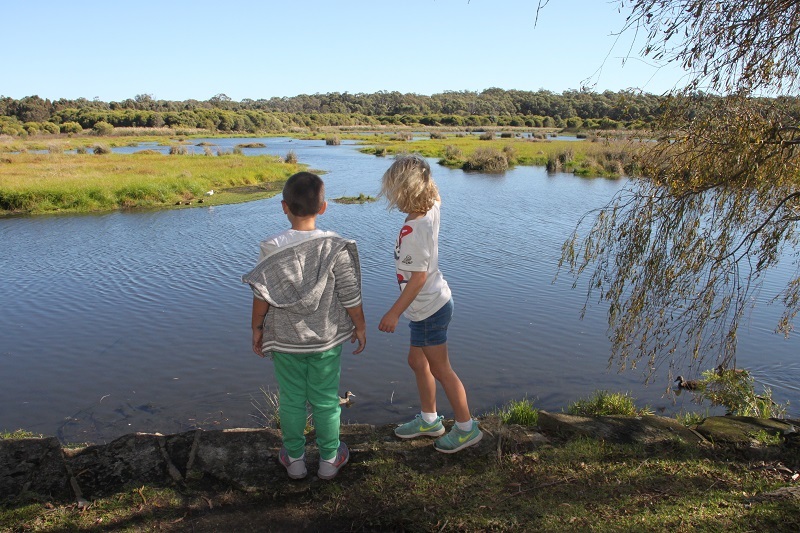 I love visiting our national parks and Yanchep National Park is no exception. 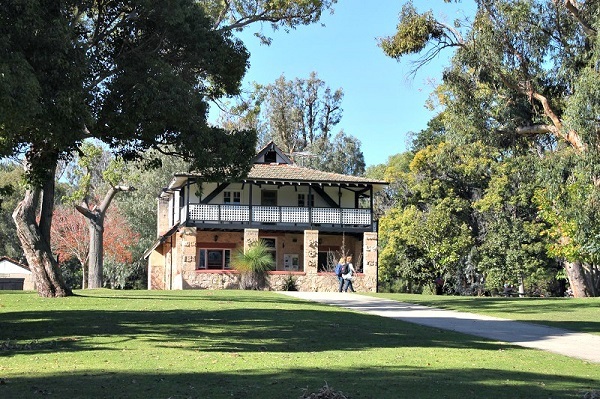 Yanchep is a mix of natural bushland, manicured lawns, native animals ( and a few non-natives – I’m looking at you Koalas) and offers plenty of things to do and see. Yanchep National Park has a big network of limestone caves. The most spectacular of these is Crystal Cave which is open to the public and can be viewed on a guided tour. 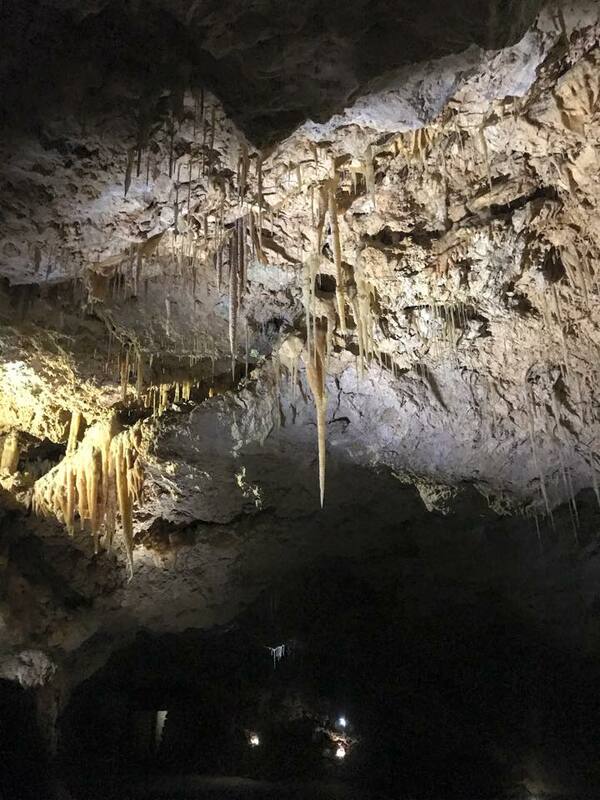 The cave is a very pretty sight and is adorned with stalagmites, helictites, columns and shawls. 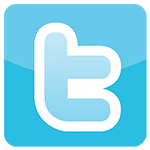 Tours of the Crystal Cave are held every day and are suitable for children. The tour takes approximately 45 minutes and is a great way to learn more about the geology and formation of the cave. Prices for the Crystal Cave Tour are $15 for adults and$7.50 for children. For tour times or to make a booking click here. Tickets can also be purchased from the Vistors Centre at Lock McNess House. Koalas are not native animals to Western Australia as they only inhabit the eastern coast. 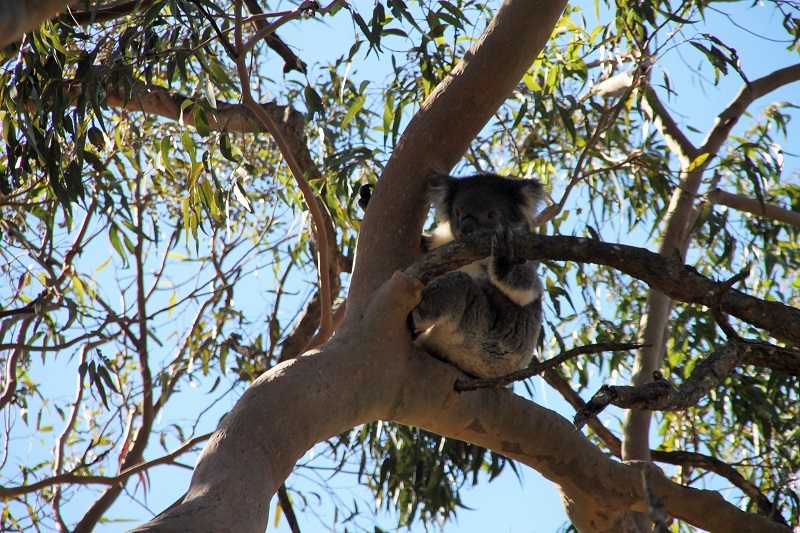 However, Yanchep National Park is one of the best places in Perth to see these intriguing marsupials. 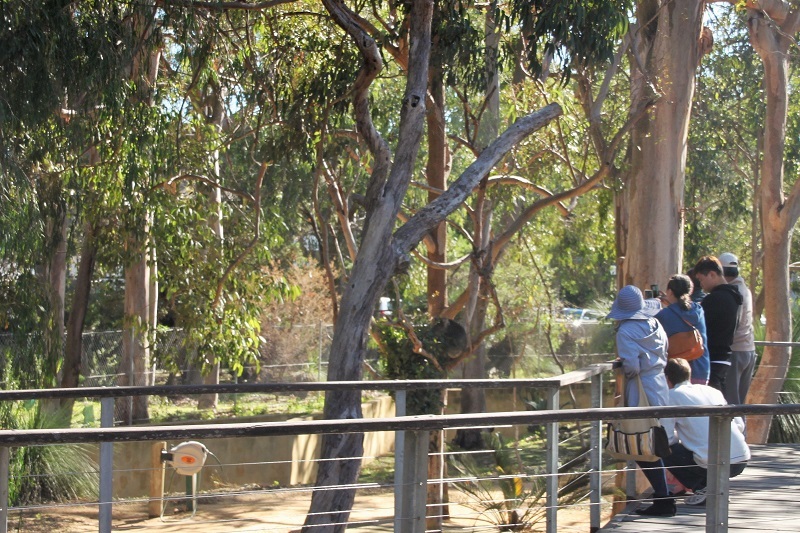 The 140m long Koala boardwalk at Yanchep gives you close up views of the nine Koalas at the enclosure. There’s also a free Koala talk each day at 3.15 pm where you can find out more about Koalas. 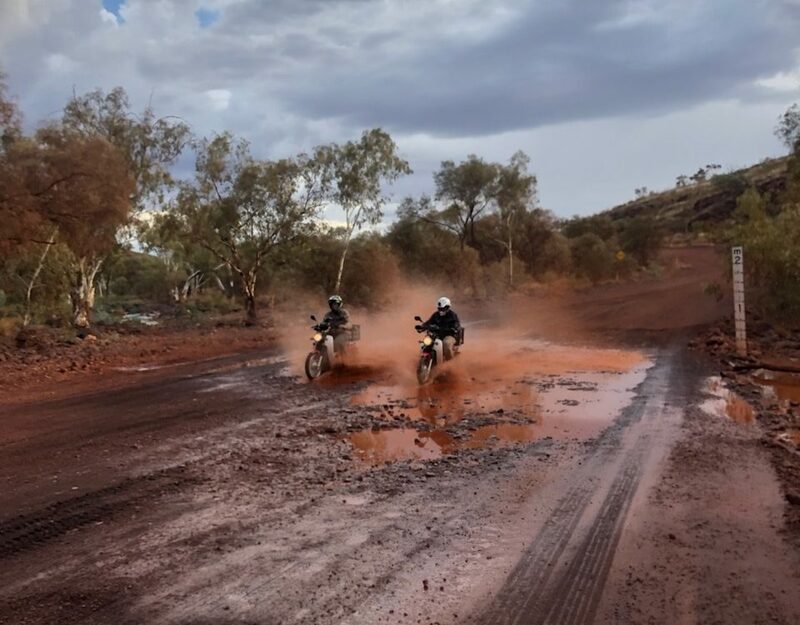 Australian Aboriginal culture is one of the oldest in the world. The Noongar is the local culture of the Aboriginals in the southwest region of Australia. You can find out more about the history and culture of the Noongar at the Yanchep Aboriginal Cultural Experience. Sessions run on Sundays and public holidays at 2 pm and 3 pm the Wangi Mia Meeting place at Yanchep. For session times and bookings click here. 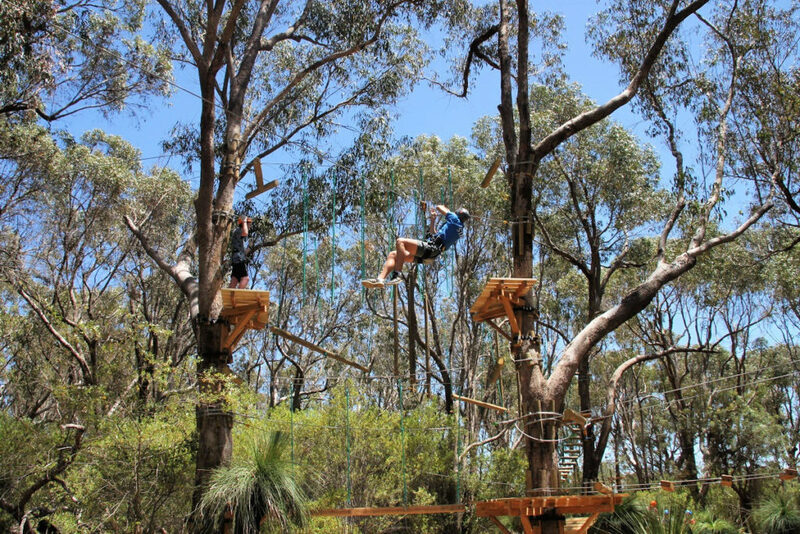 This is quite possibly the best way to enjoy the magnificent surroundings and bush landscape at Yanchep. 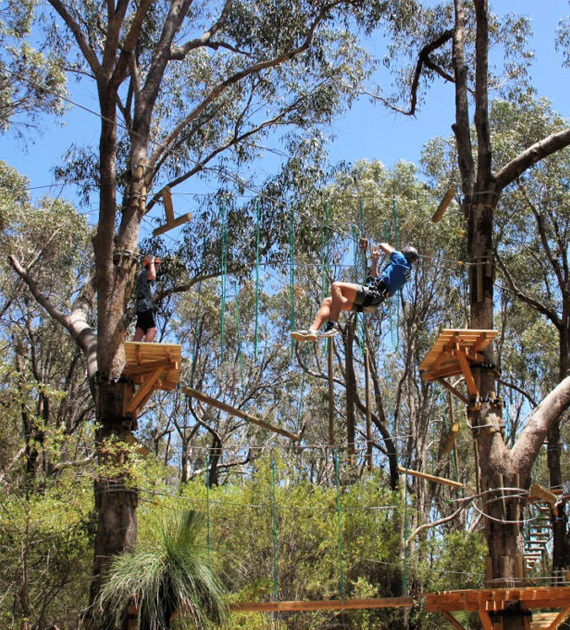 The trees adventure offers a series of challenging obstacle courses that let you climb and zipline through the trees. Sessions go for two hours and are suitable for anyone from age 4 and up. Bookings are essential and can be made here. 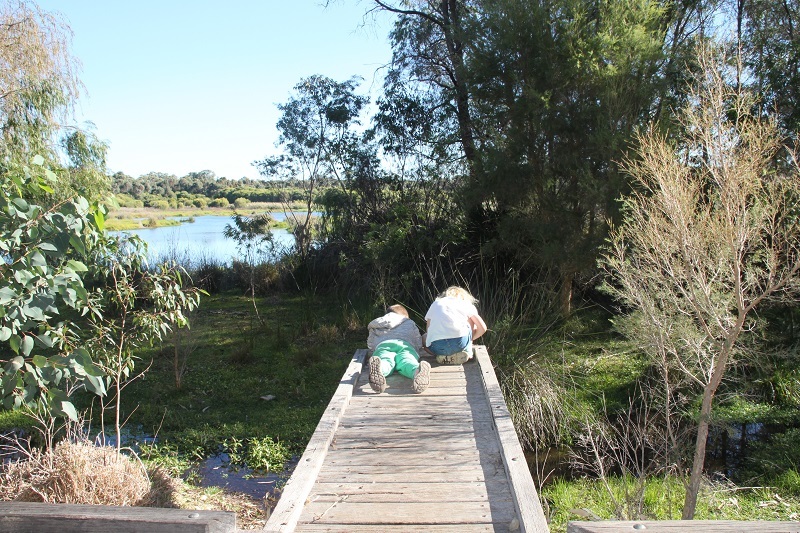 Yanchep has a range of short and long walk trails to suit all abilities. 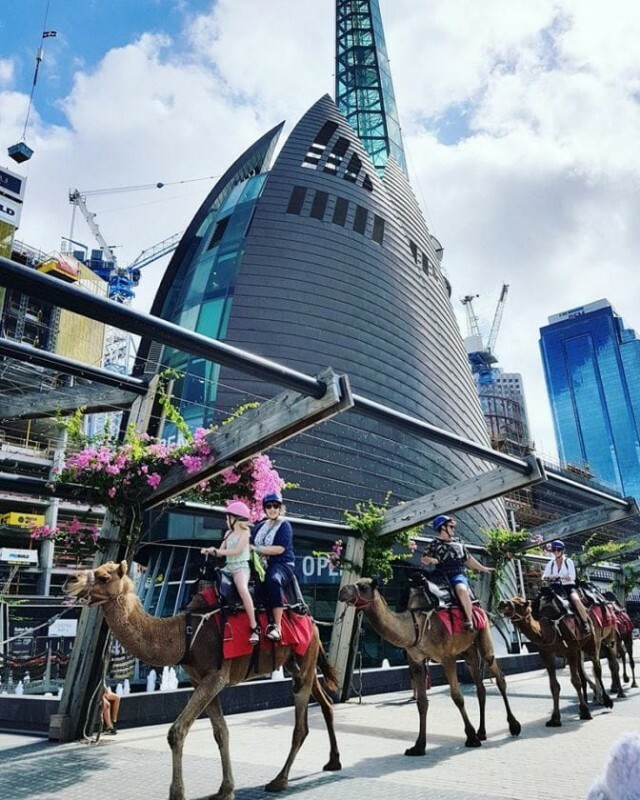 For a family-friendly walk hit the ‘Dwerta Mia’ Trail. 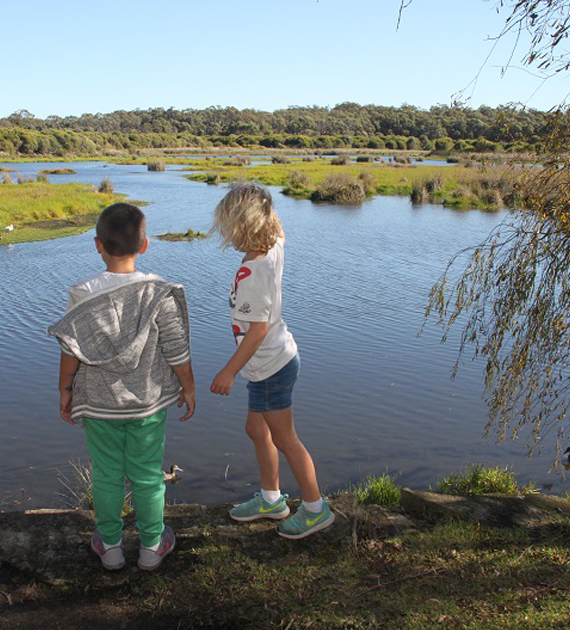 This short, 1km walk trail is perfect for the whole family and gives a lovely insight into Aboriginal culture and an overview of how the limestone environment is formed. Another short walk option is the 2.6km Woodlands Walk Trail which starts and ends at McNess Visitor Centre. The Wetlands Walk Trail is an easy 2 km loop trail around the lake. The longest walk in the national park is the 12.4km long, Ghost House Walk Trail. The loop walk takes you through some of the more pristine areas of the walk, including the wetlands and of course the mysterious ‘ghost house’. 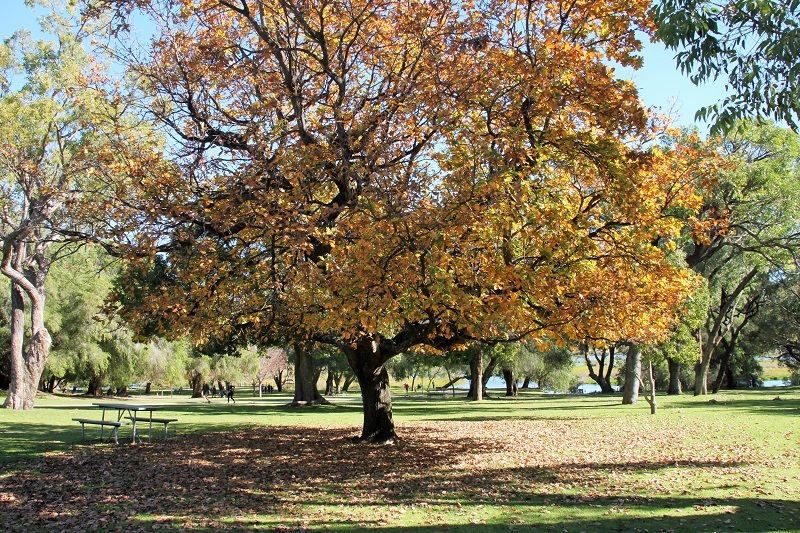 For a comprehensive list of all walk trails at Yanchep, including maps, visit TrailsWA. 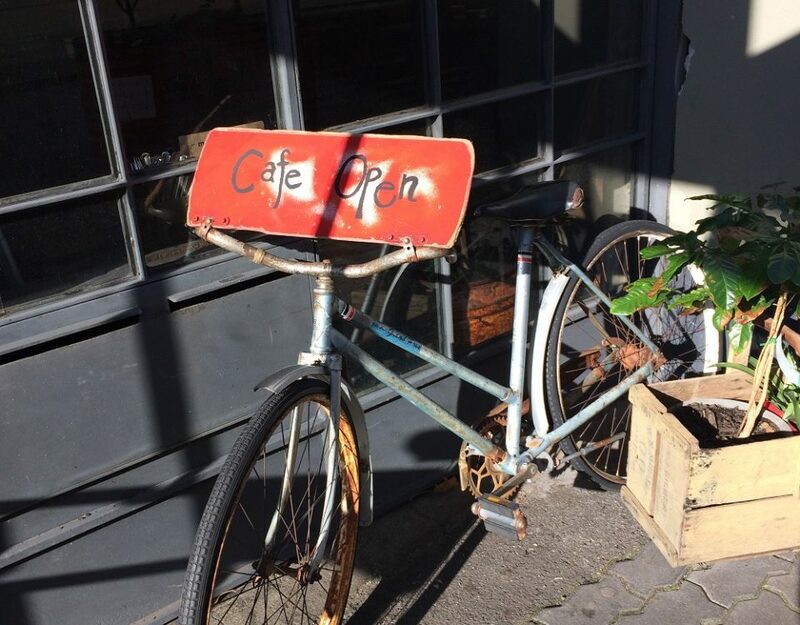 The quaint and traditional Chocolate Drops Tea Rooms is located next to the Visitor’s Centre and serves simple homemade food including sandwiches, muffins and homemade chocolate. 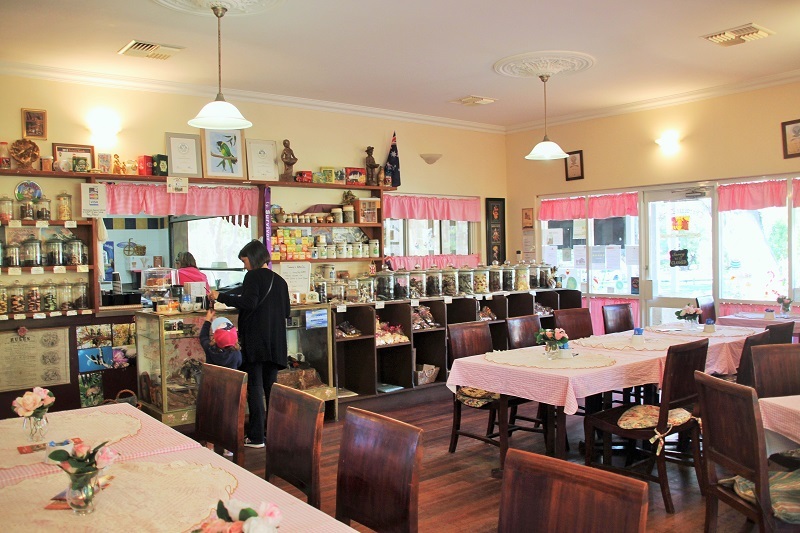 The second eating or drinking option is a visit to the Yanchep Inn which is a heritage-listed tavern. Yanchep Inn overlooks the lake and is a nice spot to sit and enjoy the views. The Inn is also open for dinner. 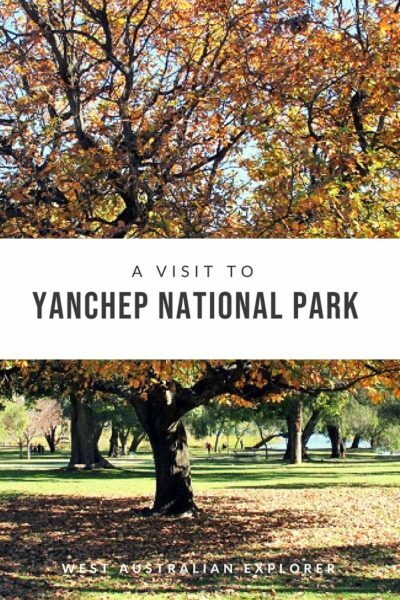 If you want to stay the night at Yanchep National Park, hotel style accommodation is available at the Yanchep Inn. Yanchep Inn has a range of accommodation options including New Lakeside motel rooms some with spa baths, the original motel rooms and budget rooms with communal bathrooms. Find more details and pricing here. Campers can stay at the Henry White Oval. 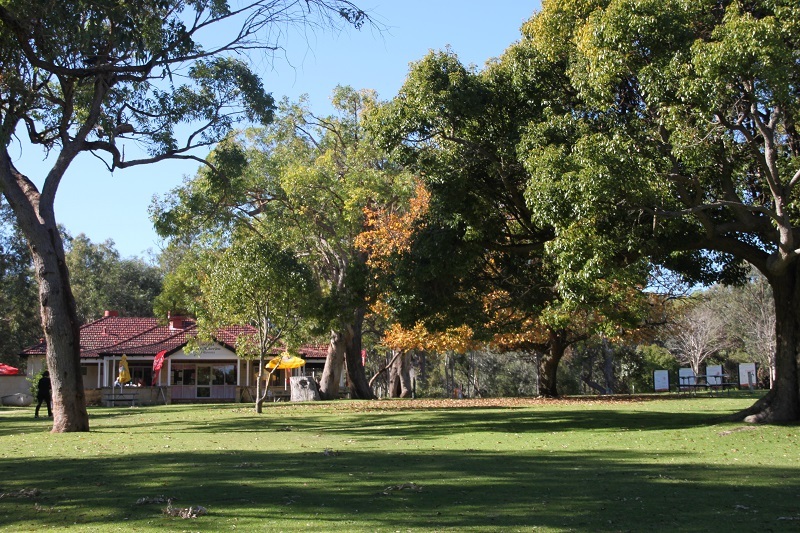 Campground facilities at Yanchep National Park include picnic tables and benches, hot showers, BBQs and flush toilets. Ten sites are hard-surface for caravans and camper trailers. See a video of what the campsites look like here. 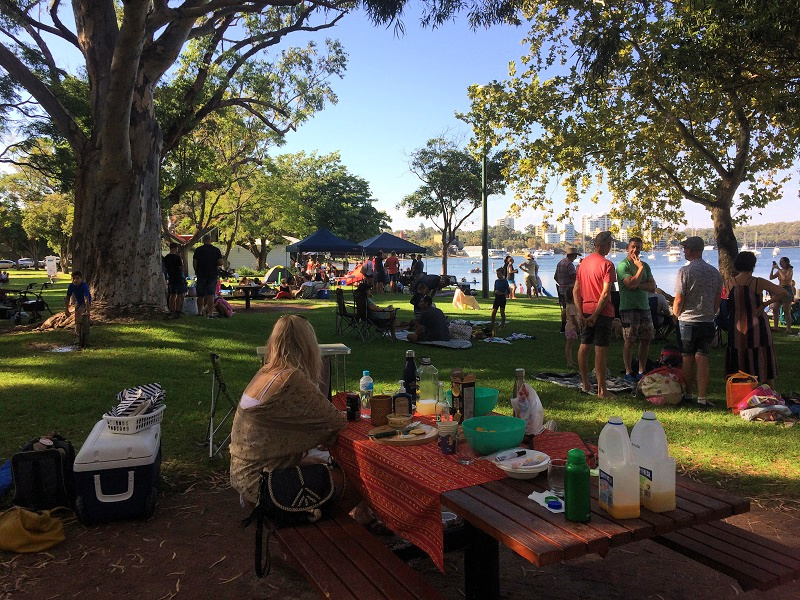 For more information and bookings about camping at Yanchep click here. 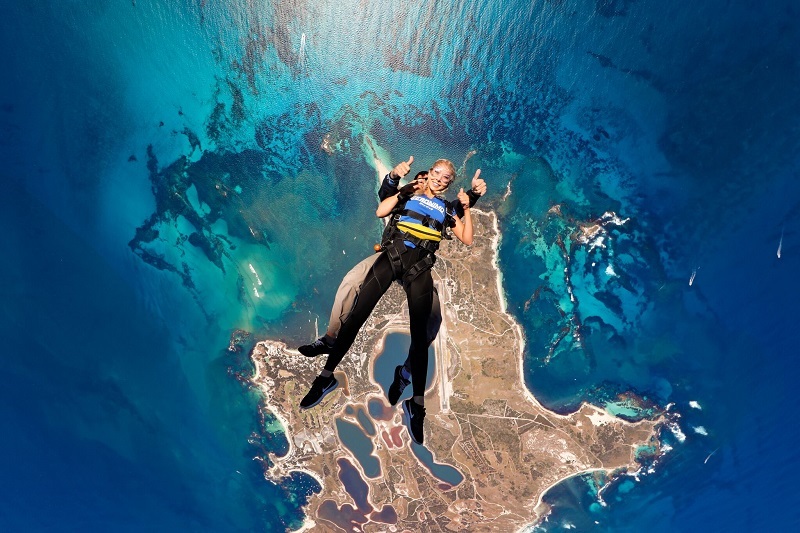 There are several tour options that include Yanchep National Park. 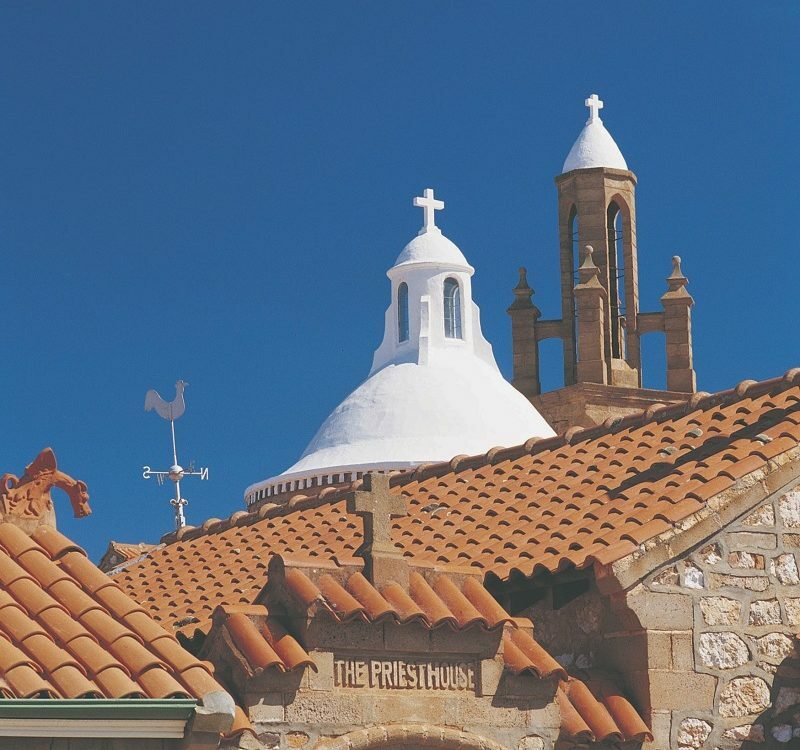 Most of these tours are full day tours that stop at Yanchep before going to the Pinnacles, Lancelin or other attractions further north. Some tours are listed below. 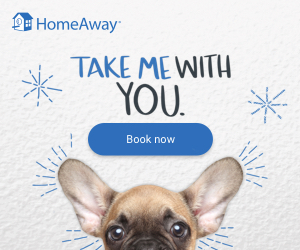 You can pre-book your spot with free cancellation. The Yanchep National Park entry fee is $13 per vehicle. If you’re a member of the RAC you can purchase an annual pass valid for all national parks in WA for half price. 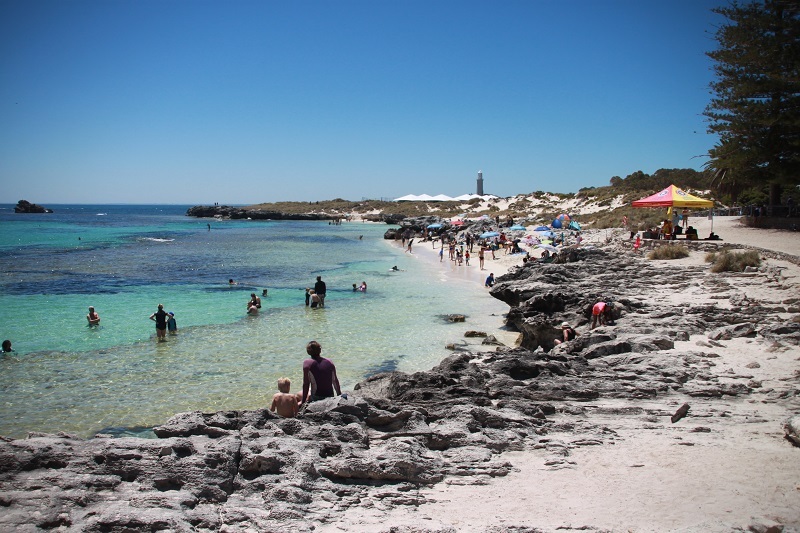 Yanchep National Park is located 55 km north of Perth city and is an approximate 42-minute drive.